Marketing to local healthcare consumers wasn’t easy in the early days of digital. Most channels were designed to serve wide audiences and targeting based on geography was imprecise. Over the past few years that’s changed significantly. Thanks to new platforms and technologies—most importantly the wide adoption of GPS-enabled smartphones—it’s now possible to market to consumers based on location, cost effectively and with high accuracy. For marketers, this is an important evolution. Many healthcare services and products are targeted to local consumers, and being able to message these specific audiences can dramatically improve the effectiveness of marketing spend. So, what are these powerful digital approaches? Which tactics and tools are helping organizations target nearby individuals? When it comes to location-based healthcare marketing, search engine advertising is currently the most widely used approach. This is with good reason: according to Google data, 89% of U.S. consumers turn to search engines for healthcare information. Moreover, 53% of healthcare-related searches occur on a smartphone and 63% of consumers searching for healthcare providers base their decisions, in part, on proximity. In other words, search is often the starting point for looking for healthcare products/services/information, and this mobile-friendly search audience is very influenced by geography. To capitalize on this, savvy healthcare marketers are increasingly making location a foundation of their search advertising strategy. In practice, this means setting parameters on ads so they reach only consumers within certain areas/radiuses, incorporating location-specific keywords into ads and pages, and using location extensions so that addresses appear alongside ads. This urgent care ad below is a good example. It only appears for local searchers, utilizes a geographic keyword (“Boca Raton”) and has been properly set up to display the practice’s exact location and office hours. 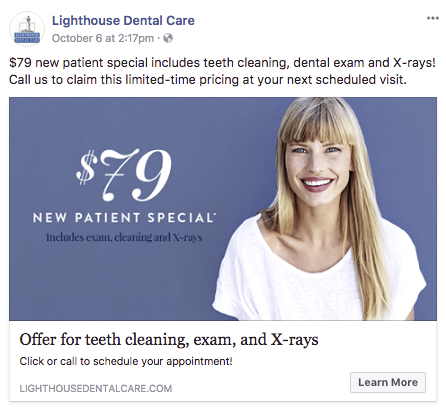 While search currently tops the list of popular location-based healthcare marketing tactics, a second approach is quickly catching up: social media advertising. This combination—a big, engaged audience and rich information—means that social ads can be targeted by geography to almost every American and also also be mapped to specific interests. Essentially, social media ads enable healthcare marketers to easily reach valuable local niche audiences, such as new parents in search of pediatricians or passionate runners who may need orthopedic inserts for their shoes. Every social platform has tools that enable marketers to reach these local audiences, and each has unique benefits in terms of demographics and ad formats. That said, the starting point for many healthcare brands is Facebook. This is due, in part, to having the largest audience, but it’s also because the network provides highly sophisticated tools for local advertisers. Specifically, Facebook’s Reach Ads are well suited for marketers looking to reach nearby consumers. As in the example below, these units enable healthcare marketers to combine local targeting with visuals, descriptions, offers, links to a company page, and action buttons (book now, call, etc). The idea of location-based healthcare marketing is not new, of course. For a long time, marketers have been using tactics such as print inserts in local publications to reach nearby audiences. The rise of digital channels has given marketers an opportunity to make these tried-and-true approaches even better. 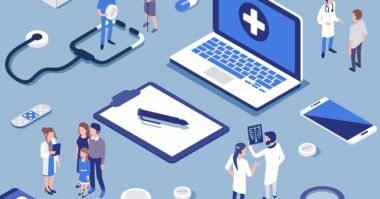 This updated approach for the digital age can be seen in the features that some savvy healthcare organizations have begun to incorporate into their mobile apps. A good example is CVS. 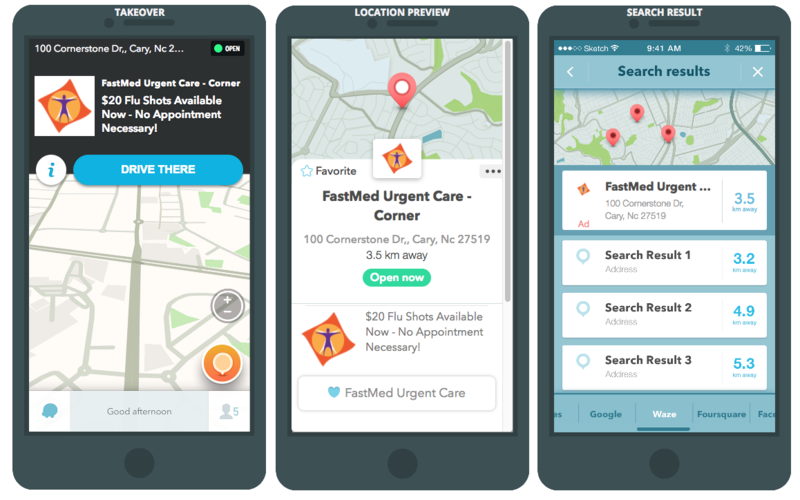 The chain has turned its app into essentially a healthcare hub for local consumers. Users can refill/view prescriptions with the closest pharmacy, set up medication reminders, order products online and pick up in-store, book appointments at a Minute Clinic, and even pay at checkout with a built-in mobile wallet. 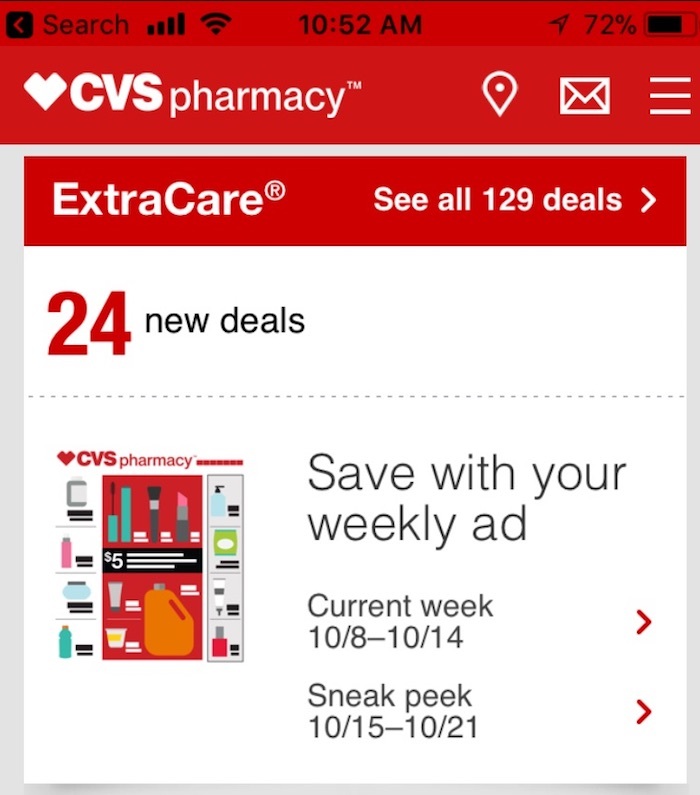 Moreover, consumers using the app can access coupons and deals targeted themselves and to their community. These discounts are, in many ways, the best of both worlds; they mimic the localized print coupons many people love, but enhance the experience with an easy-to-access digital format and with additional, more personalized, offers. Location-based mobile marketing doesn’t have to appear only in a branded app. For many organizations, especially smaller ones, it makes sense to reach audiences via existing third-party apps which already are widely used. One such app is Waze, the world’s largest community-based traffic and navigation app. As potential customers use the app to navigate, they’re exposed to Branded Pins that mark your location on the map. You can also employ zero-speed, sponsored takeovers of the map when they’re stopped at an area near your location, showing an offer or marketing message, providing information on your business, and prompting them to navigate to your business location. Geo-fencing allows you to target potential customers by drawing a virtual “fence” around a geographic area based on a series of latitude and longitude coordinates. These coordinates can be as specific as the border of a business building or parking lot, or a broader area such as a portion of a town or a specific drive area. As an individual with location services turned on uses their phone browser from inside the “fenced” area, they’re captured and then targeted for display advertising through apps and mobile browser. Ads can then be served to these consumers up to eight times an hour for the next 30 days. 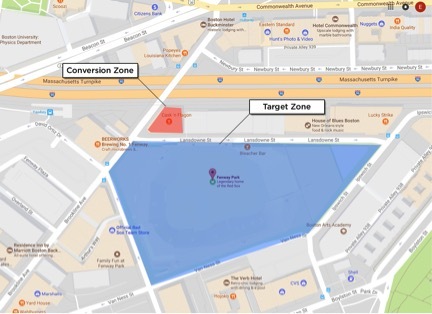 In addition to being able to target ads to these specific consumers, conversion zones can also be identified at your place of business (or another location) that tracks whether an individual that has been captured and shown an ad physically goes to your place of business. 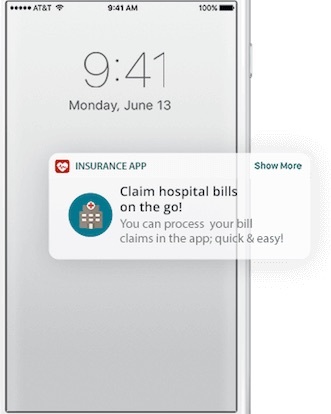 Finally, an approach that healthcare marketers are just beginning to delve into is location-based notifications/texts. The other tactics covered in this post either piggyback off of digital platforms that are already popular on desktop computers (such as search and social networks) or mimic older analog formats (such as coupons in branded and third-party apps). Notifications/texts, on the other hand, are native to mobile, which has meant that their adoption by healthcare marketers has been slower. That, however, is sure to change as brands see possibilities in the approach. Once a consumer opts in to receive notifications/texts from a brand, it opens the door to a powerful set of engagement tactics. Imagine being able to present a time-sensitive offer as soon as an individual enters a store. Or, as in the example below from Plot Projects, imagine being able to prompt a patient to take action—pay their insurance bill, schedule their next appointment, etc.—the moment they’re inside or near a healthcare provider’s office. These are just the tip of the iceberg. Location-based notifications/texts have major benefits—including direct integration into phones and high visibility to consumers—which are sure to increasingly appeal to marketers and spur creative uses. Ultimately, that reflects the larger story of location-based digital marketing: each of the approaches covered is already powerful and each is also rapidly getting better. Over the next few years, geographic targeting should get even more precise and efficient. 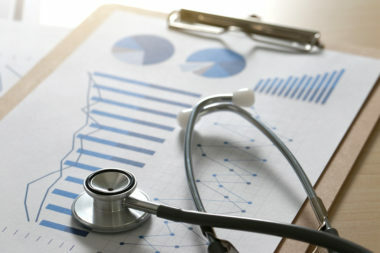 That will provide even more exciting possibilities for healthcare marketers looking to connect with nearby audiences. 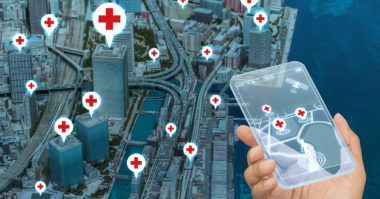 Learn more about the power of location-based healthcare marketing. Contact MDG Advertising today at 561-338-7797 or visit mdgadvertising.com. MDG Advertising, a full-service advertising agency with offices in Boca Raton and New York, NY, is one of Florida’s top healthcare marketing companies and branding firms, whose healthcare clients include Dental Care Alliance, MDVIP, Max Planck Florida Institute, HCA East Florida, Primary Pharmaceuticals, and MD Now. MDG’s core capabilities include branding, logo design, print advertising, digital marketing, mobile marketing, email marketing, media planning and buying, radio and TV advertising, outdoor, newspaper, video marketing, infographic development, website design and development, content marketing, social media marketing, and SEO. To learn more about the latest trends in healthcare marketing, contact MDG Advertising today at 561-338-7797 or visit mdgadvertising.com.